Whether a caregiver to an elderly person is professionally trained or a family member, they’re concerned with some very simple things: saving time, conserving strength, and being safe. When looking for ways to address these concerns a caregiver will often find that lift chairs for seniors help to facilitate their daily duties. It is absolutely essential to provide good quality care, and at the same time to be mindful of those who are offering this care. Lift chairs for seniors can greatly assist caregivers in accomplishing this goal. Some people receiving care need constant supervision and assistance with even the simple act of getting in and out of their chair. This is a situation that can make both the care giver and receiver feel rushed and potentially embarrassed. Have a lift chair for seniors receiving care gives those seniors a feeling of independence and dignity while also freeing up the caregiver to tend to the next task they need to take care of. According to a recent nation-wide study, 54% of Certified Nursing Assistants, (CNAs) reported receiving injuries from helping their patients in getting up from or sitting down into a chair. For both the patient and the caregiver, lifting a semi-mobile person from a chair or even lying position can be difficult. The danger of falling is always present, and such a fall can be extremely damaging for the caregiver who is trying to lift as well as the patient who actually falls. The advantage of having lift chairs for seniors is in their specially designed structure. 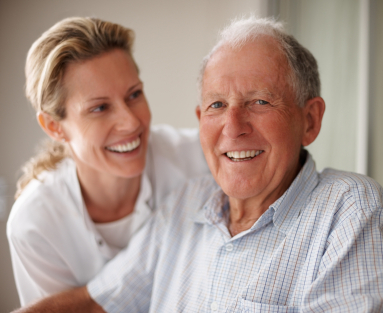 They can do much to facilitate care and prevent injury or strain to both the patient and the caregiver. Especially when you consider features such as the remote control feature, electric lift chairs can help seniors and their caregivers have a safer and easier experience. The comfort and durability of the lift chair your senior has means that you have more freedom to take care of chores, without having to worry about them injuring themselves while you’re gone. When they desire to move positions, the chair will assist them in doing so. In addition, the remote control allows the elderly person to move with little or no help at all, and with greatly reduced risk of falling. Another factor to be considered in these situations is the quality of the lift chairs for seniors. Stability, durability, and firmness in the design are crucial. A lift chair that breaks down after a short time, sags, or tips over can obviously end up being an added danger. You should stay away from “bargain buys” and always use a lift chair from a brand you can trust, such as AmeriGlide, Golden, and Pride, three of the leading and most widely trusted brands in the industry. Positioning type. Lift chairs for seniors vary in their versatility, and some of them recline further back than others. Body size and the way the chair is constructed. The lift chair should not be too large or small. It should fit the user comfortably. Type of material and intended use. Is incontinence an issue? If so, pick a fabric that is stain-resistant or easy to clean. Chair features. Optional heat and massage units can alleviate aches and pains often inherent in seniors, and built-in storage compartments offer elderly users the convenience of having all of their essentials within arm’s reach. High quality caregiving requires giving attention to safety and simplifying daily tasks for both the caregiver and the patient. Lift chairs for seniors play a big part in doing just that. Our product specialists are factory-trained and will listen to your needs in order to help you make the right choice. Contact us today at 1 (800) 791-2407 for assistance in selecting the best lift chair for your senior.